Before sending an email, please check to see if your question is answered in the Frequently Asked Questions section of our site. To advertise on Anansesem, please email us. Information about our advertising rates and packages can be found here: Advertising. Interested in illustrating for Anansesem? We are always looking for adults and children to illustrate stories. If you would like to illustrate for us, send us 3 samples of your artwork. At least one of your samples should include people, since most of the stories we publish, even the animal stories, have people in them. Send us samples that fill the entire page with detail, including the background. Please include your name, age (if you are 18 years and under) address, and telephone number. While we are currently unable to pay illustrators, what we can offer is exposure for your work and a unique opportunity to hone your craft as a children's illustrator. 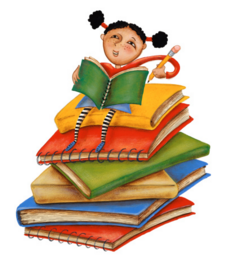 If you are interested in reviewing Caribbean children's books for Anansesem, email Ms. Edward for more information. Tell her a little about yourself, why you want to be a book reviewer, and what kinds of books you would like to review. Be sure to include your name, age (if you are 18 years and under), address and telephone number. Please note that we are currently unable to pay book reviewers. What we can offer however, is exposure for your work and a unique opportunity to hone your craft as a children's book reviewer. We’re always on the lookout for creative ways to champion Caribbean children’s literature. Got ideas? Get in touch!